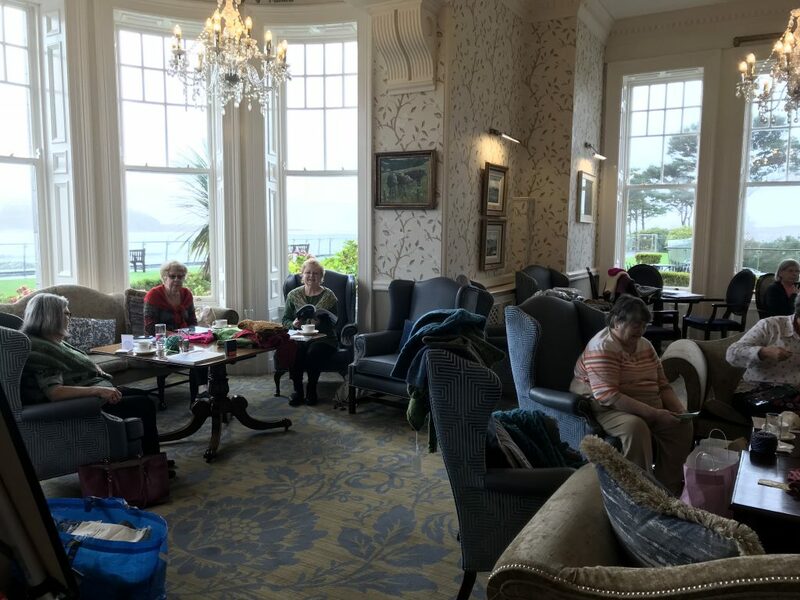 Last week I was at the most fantastic resort, Parknasilla, for the week on a knitting retreat. I was joined by a wonderful group of knitters from the US and Canada (plus one from Australia!) and we had an amazing time. Parknasilla is an astonishingly beautiful location; in gardens there are multiple walks through forest paths, and along the water’s edge. 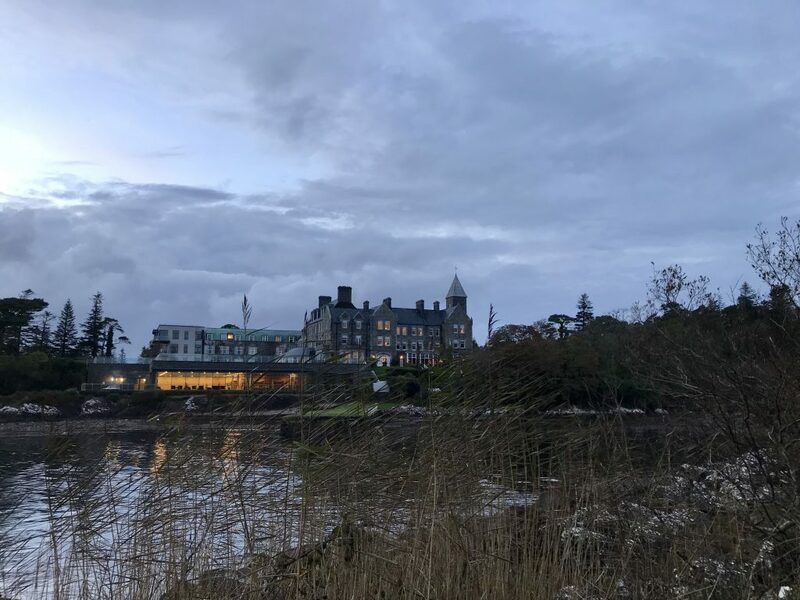 The photo above was taken a dusk when I squeezed in a late afternoon walk through the wood and could see the hotel from the other side of the water. If you want to take an afternoon off they even have a large swimming pool and outdoor jacuzzi as well as spa treatments. For me, being a little biased, the focus was always going to be the knitting. I wanted the classes at the retreat to be accessible by a variety of levels so I worked with the Esquilino and Palatino patterns. For someone new to charts and cables you can start with just the scarf. If you want to step it up and try a new technique you can do the cowl that uses a provisional cast-on and a grafted join. And finally for the bonus technique you can do the hat that also adds in German short rows. As each pattern builds on the previous one these patterns make nice class combinations. I was so impressed with the knitters at the retreat; there was such enthusiasm for learning and a willingness to try new things. Several knitters made huge progress just over a few days! 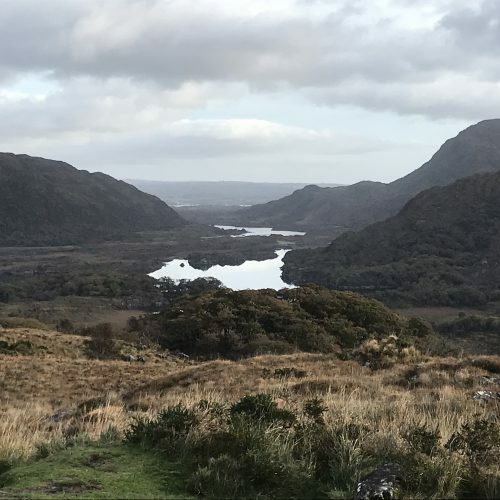 It was also exciting to introduce people to Ireland. You really appreciate your own country when you are viewing it through the eyes of someone who has never been here before! 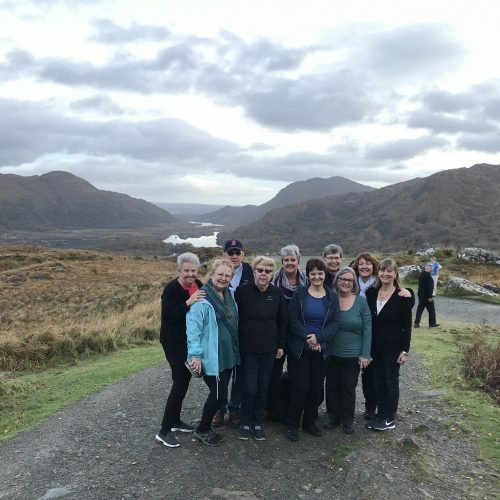 Just in case the knitters got tired of me teaching them we also traveled for a day to Sheep’s Head Peninsula home of the Sheep’s Head Yarn Festival. Here they were divided into 2 and worked on either sock knitting or textured knitting. 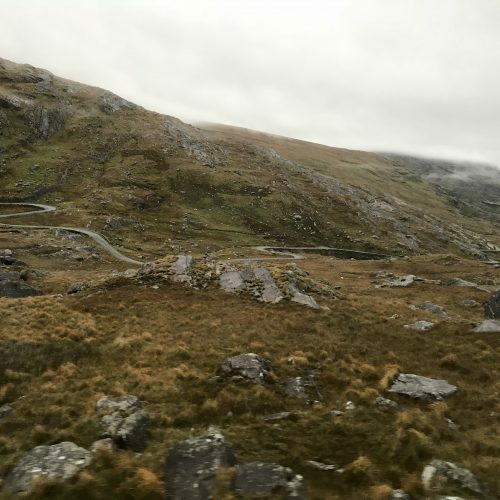 As an added bonus we traveled down there by Healy’s Pass which is a rather terrifying mountain pass with completely amazing views! I was very sad to say goodbye to the group, it was an intensive few days but so much fun. They was lots of learning, fantastic views, new friends made lots of fun! Next year I will have 3 retreats running; 2 in the summer and 1 in October. 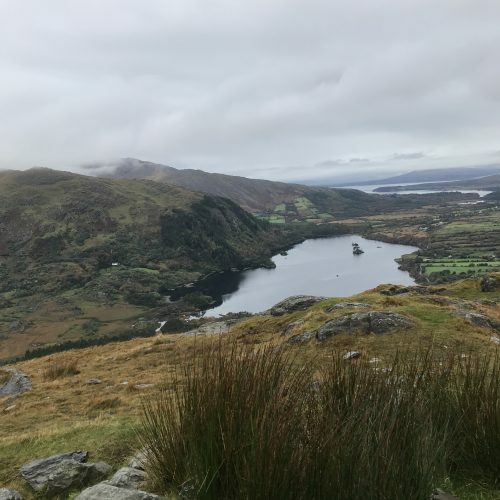 Do bear in mind that you will be travelling by bus which has several steps and the classes are up a set of steps without a lift so you need to be mobile enough to climb stairs by yourself. All levels of knitting are welcome, just come with a willingness to learn new things! I had so much fun on this retreat. Carol is a excellent teacher and love cables now! Thank you Pam, that’s lovely to hear!